I’m a dog guy. I love dogs and I’ve had dogs nearly all of my life. But nine years ago I brought in a feral kitten whose siblings had been poisoned by a cat-hating neighbor. 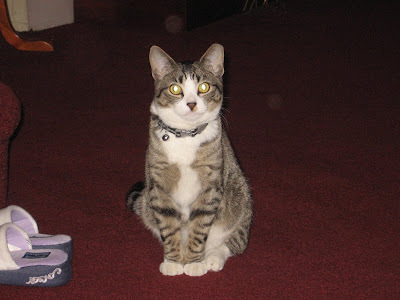 Previously, I hated cats and loved when my late dog Duchess would chase them from my yard. But the feral kitten we named Kit won my heart. She has become my constant companion around the house. While raising the kitten I thought of some of my favorite writers who loved cats, such as Ernest Hemingway (seen in the above photo), Mark Twain and Raymond Chandler (seen in the below photos). I’m still a dog guy, but now I know why they loved cats. 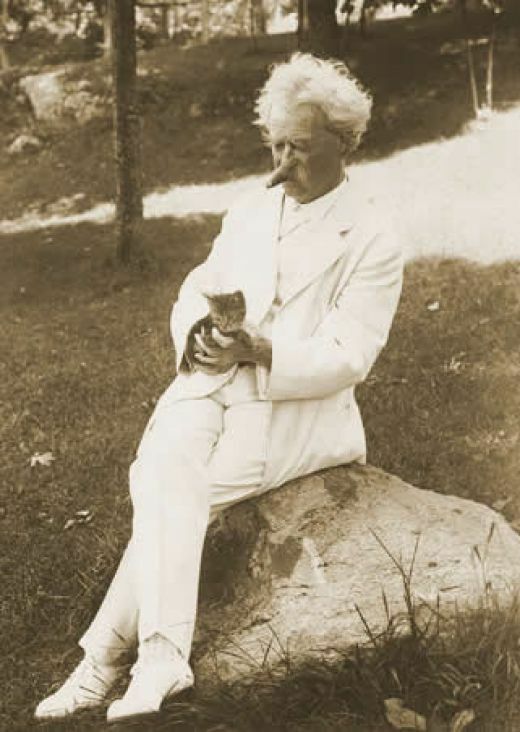 Ronnie Casey at redbluffdailynews.com offers a piece on Hemingway, Twain and other famous men who loved cats. With Father’s Day tomorrow, it might be just a perfect time to recognize a number of men who challenge the female stereotype of “crazy-cat” person. One of the most macho cat lovers that ever existed was writer Ernest Hemingway (1899-1961). He was an American author, journalist, and winner of both the Pulitzer Prize and the Nobel Peace Prize for his work. Famously known for his hard drinking, adventurous lifestyle ways of deep-sea fishing, hunting, boxing, and bullfighting, he was definitely a pussycat when it came to the felines. This brawny man known for his love of big game hunting truly enjoyed returning home to his little “purr factories” as he so fondly called them. 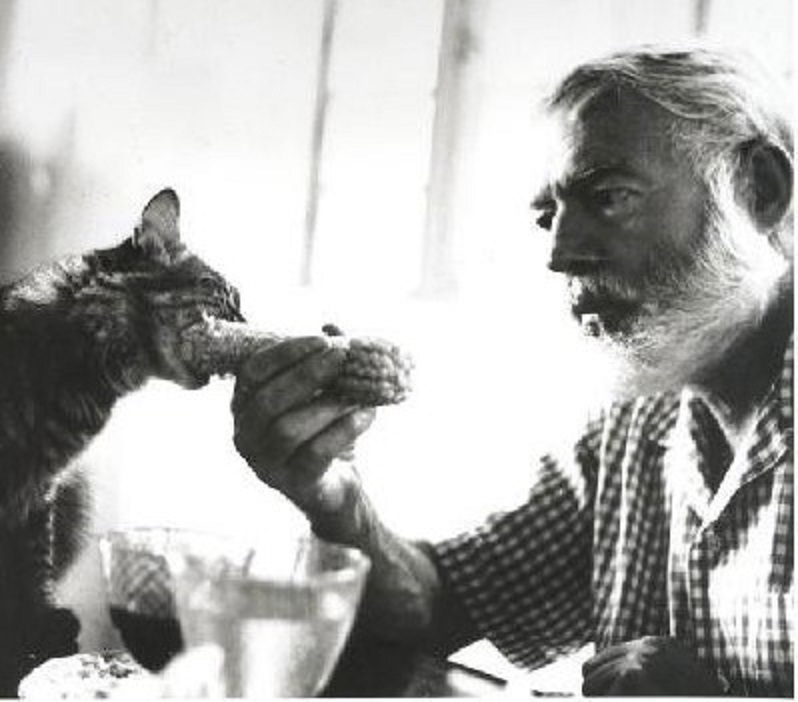 However, the one feline in Hemingway’s life who undoubtedly was the most special was Snowball. 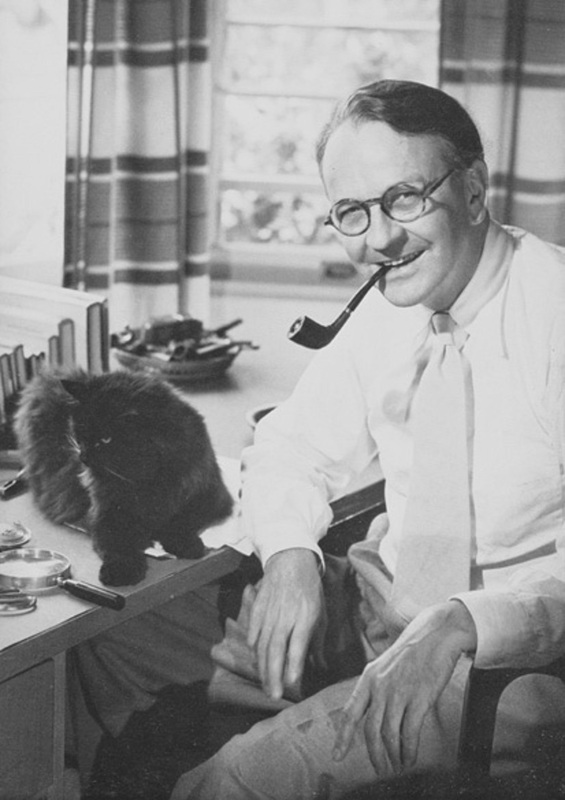 The popular story on how Hemingway acquired Snowball is that a ship’s captain, Stanley Dexter, gave the author the six-toed while ball of fluff after he admired the cat’s polydactyl condition. Hemingway believed men should be “macho” so he did not hesitate in giving Snowball the chance to sow his wild oats with as many “loose and free-lovin” female cats as he could find. Due to those glorious unions, each of the 40-50 polydactyl “Hemmingway cats” that still live on the property of the Hemingway Home and Museum in Key West, Florida, are presumed to be descended from Snowball’s adventurous ways.